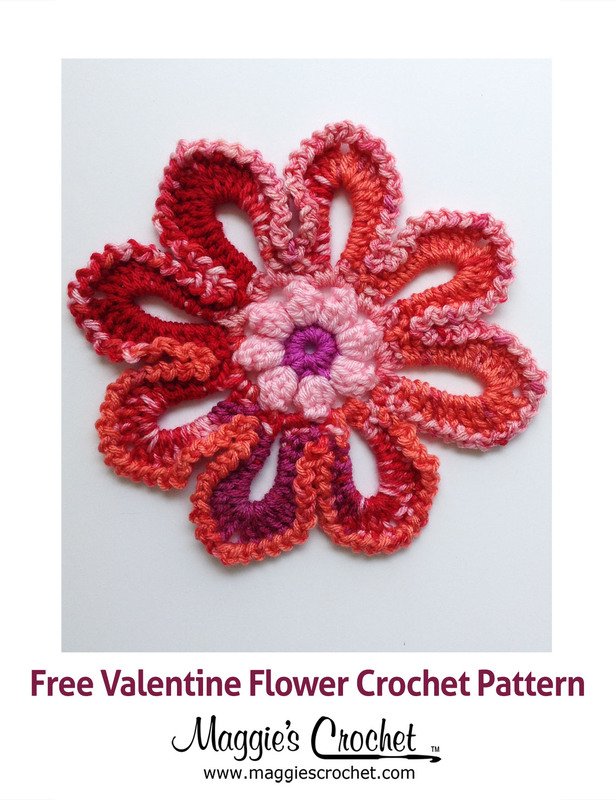 Sunbonnet Sue is perhaps one of the most widely recognized crochet and needlework designs. 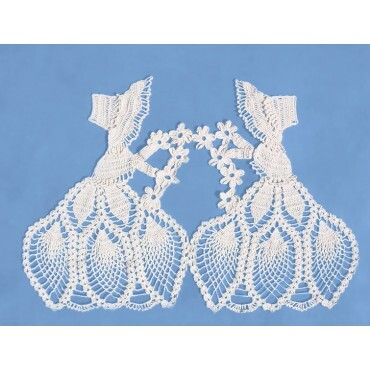 This lovely and traditional pattern is used to create the most charming dolls, clothing, quilts, and accessories, and makes the perfect addition to country home décor. 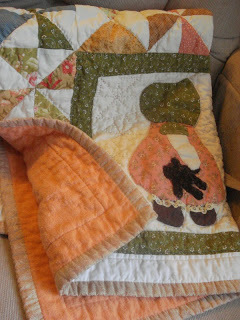 But did you know that Sunbonnet Sue can be traced all the way back to the late 1800′s? British book editor Kate Greenaway first introduced the design in her book entitled Under the Window in 1878, depicting little girls in bonnets who would become the inspiration for “Sunbonnet Sue.” This particular pattern is not only a popular modern crochet design; it’s also an important piece of history! 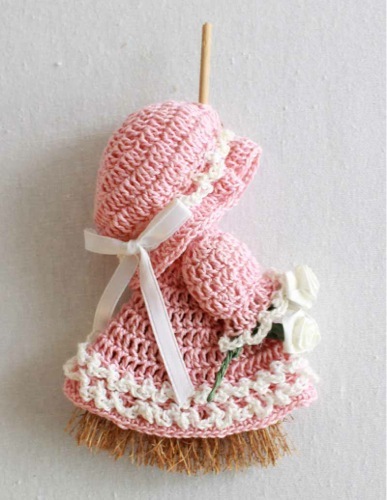 The Mini Broom Dolls Pattern Leaflet featured on Maggie’s Crochet includes eight original thread designs by Maggie Weldon. And those new to this pattern should be sure to check out this free Sunbonnet Sue Broom Doll Pattern from Maggie’s Crochet! 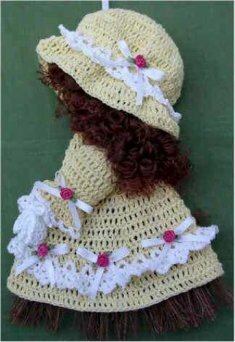 At 2:30 AM this morning, I found your crochet pattern for SunBonnet Sue. I am close to publishing a cookbook on Depression Era Cooking, and I was looking for a cheerful Sunbonnet Sue for the cover. 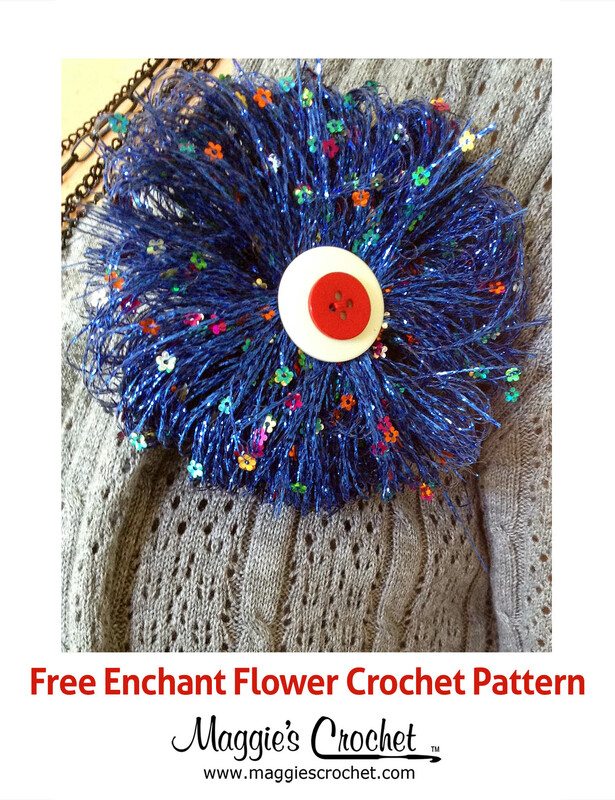 If you would allow me to use your image, I would direct people to your website and crochet patterns. 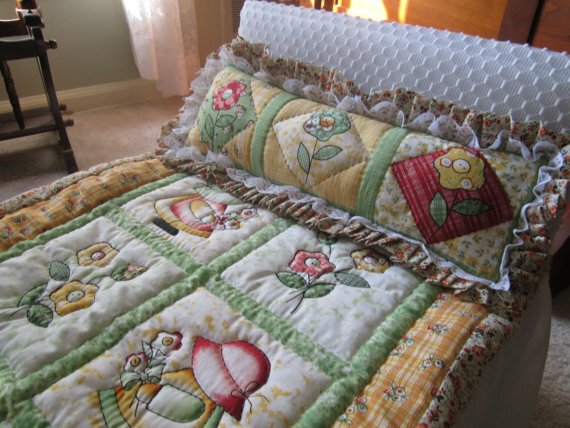 I grew up with Sunbonnet Sue, but unfortunately, my Grandma left my favorite quilt in Michigan when we moved, because “It was too tattered to keep.” What I wouldn’t give for it now! I will be putting my book out as a 99cent ebook right now. Since printing costs are so high, I can’t afford to put it out as a hard copy. I might have Create Space put out occasional books “on request.” Later, if it sells well, I might raise the price, but I don’t know right now. In exchange for helping me, should you ever want to put out an ebook, I could guide you thru the process as a gesture of appreciation. It might be a way to sell some of your patterns and it would definitely be a way to drive traffic to your sight.. In any event, please consider giving me permission to use your Sunbonnet Sue on my cover. Thank you for asking for permission to use this image. Permission is granted, as long as you provide credit and a link back to http://www.maggiescrochet.com. If you have any further questions, please email us at customerservice@maggiescrochet.com.